There's a great new sketch up at Card Patterns. This week's sponsor is Designed to Delight, a digital stamp company. I used the Bloom, Grow, Dream set on my card. A fun and cheery image. The oval shape I embossed onto the front of my card and the image itself is colored with watercolor paints. Yea, I still don't own a single Copic marker!! 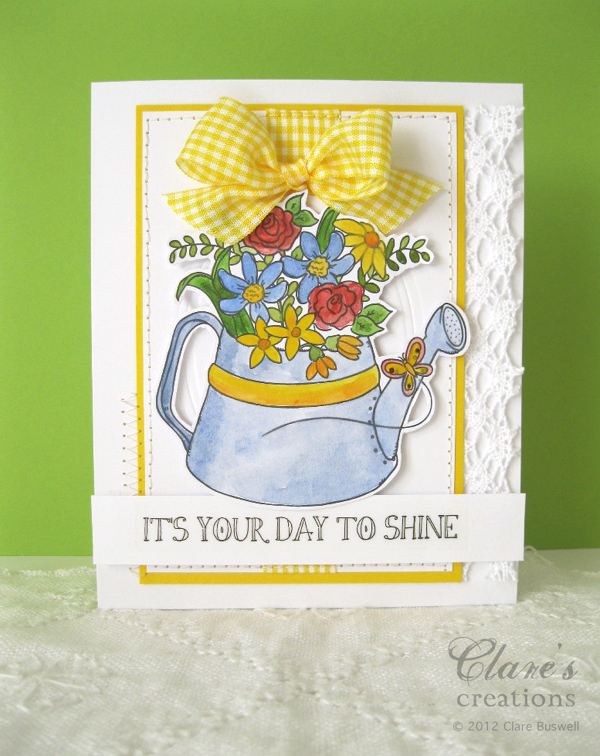 The lovely sentiment is from Sticker Sentiments - Thinking of You by SRM Stickers, I thought it went well with this cheery card! 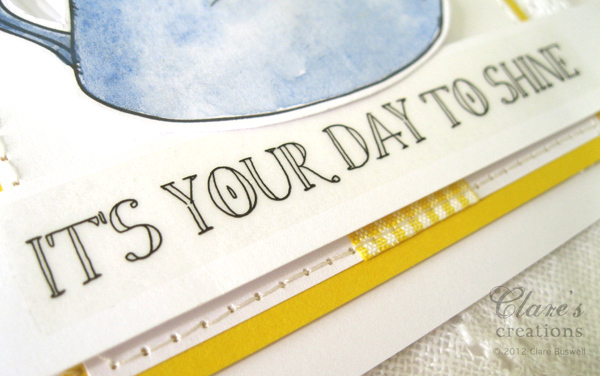 Drop by the Card Patterns blog to see this week's creations from the rest of the team! Enjoy the rest of the weekend, we're back to normal Irish weather again, it was nice while it lasted! Labels: Card Patterns, digital stamps, SRM Stickers. And you don't need the Copics either....I have a very few but would rather have watercolour any day...and hey, it's a lot cheaper! Lovely card yet again....and yes, back to cold East winds and woolies again...at least it's not raining! Beautiful, bright and sunny! 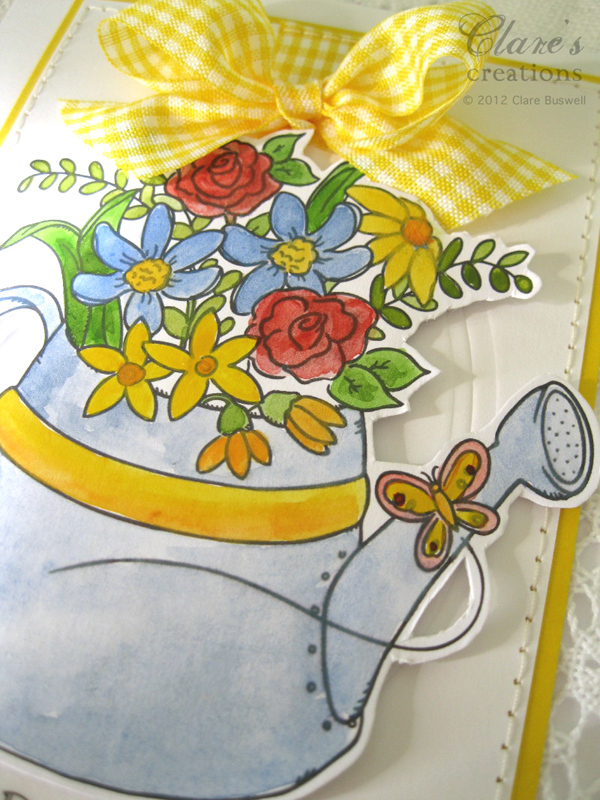 Very cheerful card! Beautiful image Clare, so cheerful!